Over the years, human activities have contributed to changes in the dynamic equilibrium of stream systems across the county. These activities center on manipulating stream corridor systems for a wide variety of purposes, including domestic and industrial water supplies, irrigation, transportation, waste disposal, mining, flood control, timber management, recreation, aesthetics, and more recently, fish and wildlife habitat. Increases in human population and industrial, commercial, and residential development place heavy demands on the county’s stream corridors. The cumulative effects of these activities result in significant changes, not only to stream corridors, but also to the ecosystems of which they are a part. These changes include degradation of water quality, decreased water storage and conveyance capacity, loss of habitat for fish and wildlife, and decreased recreational and aesthetic values. 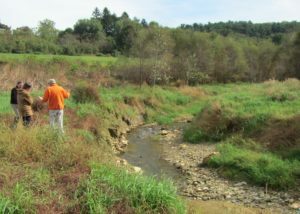 Riparian landowners in York County are responsible for watershed protection and are encouraged to practice good environmental stewardship at home. 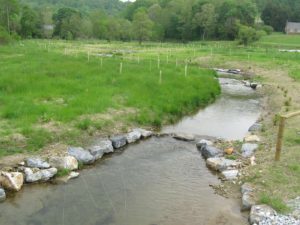 The Headwaters Environmental Legacy Program for Small Streams (HELP-Streams) was initiated in 2003 by the Conservation District to educate landowners about making the best choices for managing their small streams and providing financial and technical resources for rehabilitating and protecting headwater streams. Financial assistance is available to eligible landowners on a cost-share basis as resources allow. Technical assistance is provided at no cost to landowners who wish to do the work themselves. In most cases, a General Permit (GP-3) is required by the Department of Environmental Protection. 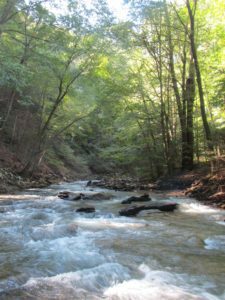 Are you the landowner of a headwater stream (i.e. small 1st or 2nd order)? Are you willing to become a District Cooperator? Are you able and willing to cost-share the total project cost with the District? Are you able and willing to either do the work yourself, or hire a contractor to do the work for you? For more information about HELP-Streams technical assistance, contact Gary R. Peacock, Watershed Specialist, at 717-840-7687 or e-mail gpeacock@yorkccd.org.